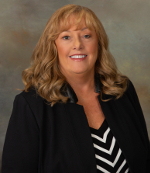 Patrice M. Konarik is president of Sunwest Training Corp. founded almost 25 years ago and is located in the Texas Hill Country near San Antonio, Texas. With over 30 years in the financial industry, Patrice has focused her expertise on IRAs and HSAs and is currently providing live training and Webinars on these products on a nationwide basis. She has a BS in Management Science from New York’s Binghamton University. Many national and state training organizations use her as their main source for training on these complicated topics. Patrice encourages attendees to ask questions during the Webinars. There is no topic that produces more questions than death payments to IRA beneficiaries – whether it's a spouse, individual nonspouse, revocable trust, irrevocable trust, entity or no beneficiary named. Then you have to throw in the factors of multiple beneficiaries, how old the owner is at death, who died before who, disclaimers…. It's enough to make you crazy. In this 1.5 hour Webinar, we will focus on the answers to these questions in a nice, detailed format with examples and handouts to help facilitate your beneficiary payouts when an IRA owner dies. This is a crucial Webinar for anyone even remotely involved in IRAs including, frontline, back office, call center, investment department, and trust department personnel will benefit greatly from the thorough discussions of death payments. The content is at the intermediate to advanced level with a minimum of two years' experience recommended. It is assumed that participants have a working knowledge of IRAs. This 1.50 hour event was recorded on Tuesday, April 2nd, 2019.